One day, some day, should some freedoms be registered in final. that in some April some freedom threatened and came. and Lenin celebrates life in April, but so do I. So what are the boundaries, Rosa Luxembourg once asked? And I wonder, the questions of a Namibian poet. How far is Washington from Pretoria? And how near Bonn from Tokyo? What is the distance between hunger and wealth? and the discontent of a continent? How much of a black comedy is Africa really to the Unity of Nations? How satisfying are potatoes as a relief measure dished out from countries’ hands? Italy loves Somalia, this much we know from Benito Mussolini. And Michael Jackson loves Zairean children. Across the Diaspora how much love do we need to get serious? and karate seven times a day. The G7 will give us g-strings to enter Hollywood in noble images. The most exciting acts since Zionist put Palestinians on the alter. as the love between Great Britain and Northern Island. The lofty ideas of the Eiffel tower are as crazy as a time bomb mentality in big Ben. As crazy as the love between Napoleon and Nelson. How far is a laugh, is Mandela from X and before Y and Z seals us? and the blood of the Maya and the Sioux to be our spirit. So that we drum it on the drums of Uhuru when it bangs in the pangs of a continent. Che might be dead, but was it Che only in Cuba? So now why, why do you wonder? this is my distance from home. 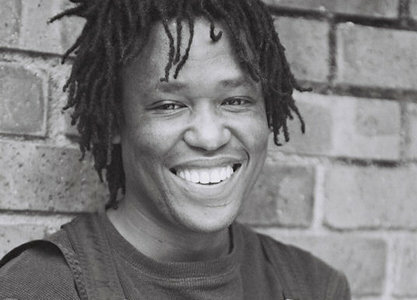 Sandile Dikeni was born in Victoria West in 1966. He studied at the University of the Western Cape where he served on the SRC. He began writing seriously while in detention in 1986, and was a popular performer at political rallies and community cultural events. Since the coming of democracy, he has worked as a journalist and political commentator. In addition to Planting Water, he has published two previous collections of poetry, Guava Juice (1992) and Telegraph to the Sky (2002), as well as a collection of his articles featured in the Cape Times, titled Soul Fire: Writing the Transition (2002).